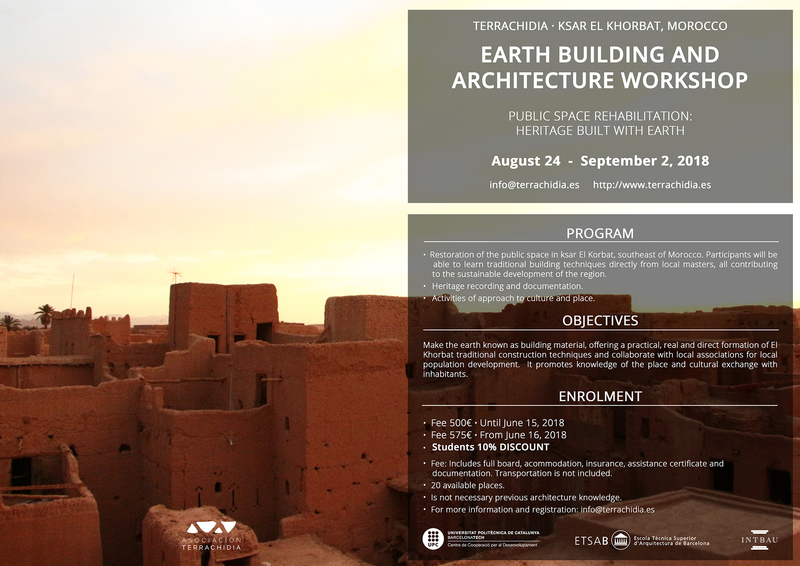 Terrachidia is organising a new Earth Building and Traditional Architecture Workshop in the East of Morocco, which will take place at the El Khorbat ksar from 24th August to 2nd September 2018. 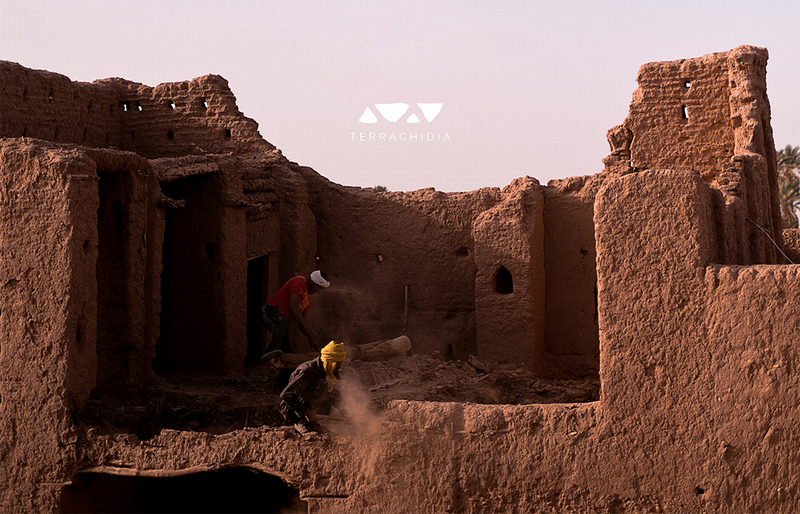 This time a public space of a ksar will be restored. As always, participants will be able to learn the traditional building techniques of Eastern Morocco directly from local masters and be able to put these techniques into practice in the restoration of the architecture of the location, all contributing to the sustainable development of the region. At the same time, participants will work in researching, recording, documentation and promoting this heritage and local architecture. As well as the building workshops there are a number of other cultural activities that are planned for the programme. Early registration until 15th June.